Traveling along New Haven road in icy conditions like today can be frightening, especially if you were injured in a New Haven auto accident because your vehicle either skidded or your vehicle was hit by one. 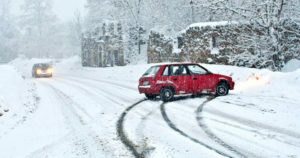 If you are ever behind the wheel and your vehicle starts to skid, there are some tips offered by the Connecticut Department of Transportation. Ice is twice as slippery at 30 degrees than 0 degrees. If you hit an icy patch, take your foot off the brake and either accelerate or downshift. If you are skidding, take your foot off the brake and steer your wheel into the direction the back of your vehicle is going. Using a light touch will take you out of the skid. Leave plenty of space between yourself and the car in front of you. If you were injured in an auto accident involving a skidding vehicle, contact the attorneys at The LoRicco Law Firm. Whether your injuries were caused by another motorist on the road, or could have been prevented if the municipality de-iced, our New Haven Auto Accident attorneys can help you file your claim.